Not too big, not too small, the Bellisima is exactly like its name - utterly beautiful. Designed to be all things to all occasions, this divine Set is perfect for everything from weddings and proms to those everyday events where you just want to dress up and grab a whole load of attention. 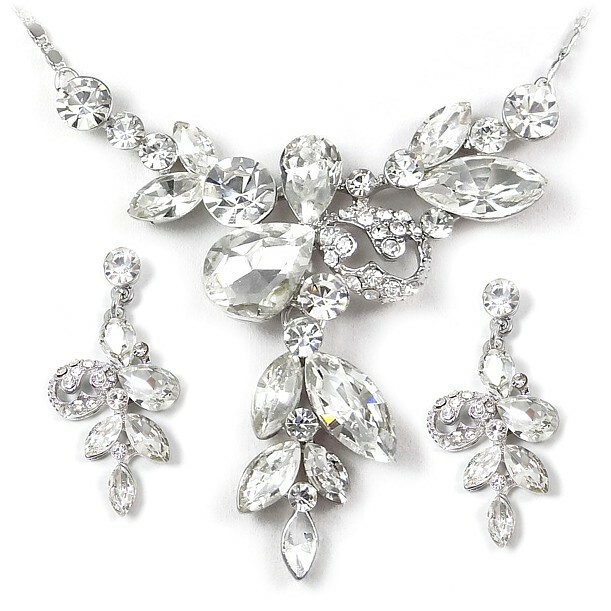 Created in Austrian crystal - the crème de la crème of rhinestone - this stunning Set features a shimmering "Y" shape made up of teardrop, marquise and circular crystals set on a chain, with matching earrings to add an extra touch of glamour and sophistication. Sizes: Necklace Length: 41cm - 47cm (16" - 18½"). Centre piece: 5.8cm (2¼") x 5cm (2"). Earrings: Pierced 4.3cm (1¾") x 2.2cm (Almost 1"). Silver finish.